Why is this easy? With your private driver, we will eliminate the majority of walking and drive you village to village. Save your energy, let us make this day easy. Cinque Terre, "The Five Lands" in Italian, and five of the most beautiful centuries old seaside villages in the world. 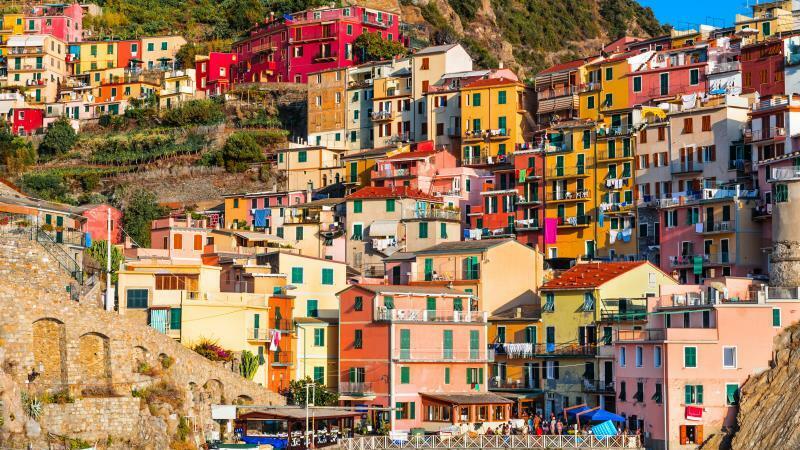 Situated on the Italian Riviera coastline, each of these 5 villages have their own character and history, strung together between sea and earth, picturesque and as charming as they have been for centuries. These villages are difficult to reach, which is part of their charm, but can also make for an exhausting day with a lot of walking. We want to help you make the most of your time here and have customized the day to make this relaxing for all. Our journey begins with a panoramic drive to Portovenere, which is not technically one of the five villages of Cinque Terre, though beautiful in it's own right and has been around since the first century. There is certainly a history to be discovered in these cobbled streets, but what will really wow you are the brightly colored houses lining the Mediterranean coast line. Next we will visit Vernazza, the only village of the Cinque Terre that is a natural harbor, and the most authentic fishing village in the area. Situated on a rocky cliff, the houses here cling to the coastline and make for what many believe to be the most picturesque scenery along the western coastline of the Mediterranean. Our last stop of the day is Corniglia, the only village not accessible by sea. With origins as an ancient Roman agricultural society this town has a very well preserved Medieval aspect versus the more common fishing villages found along the rest of the Mediterranean coastline. Take in the scenery, the village is surrounded by vineyards and lush greenery. - This tour is designed for people with limited mobility. Please note that the majority of this tour will be spent driving. - Your English-speaking driver will not enter sites with you, but will give running commentaries of what you are seeing and make sure you have enough time to visit each site. 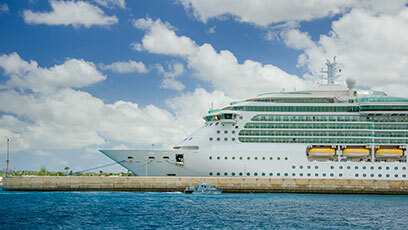 - The price of this tour does not include ferry tickets. A boat tour (one way) is €22 per person. This is optional and can be used as transportation from Portovenere to Vernazza. The ferry is not suitable for persons in wheelchairs. - We can accommodate those in either an electric or collapsible wheelchair, but must be notified in writing, in advance, so proper arrangements can be made. - The conditions and availability of certain features are ever-changing in the Cinque Terre; we reserve the right to modify the itinerary to give you the most satisfying visit with respect to the situation on the day of your visit. - Changes in local ordinances (particularly with respect to where we can enter with the vehicle and park) may also make it necessary to alter your itinerary.